A very Hvan packed weekend is ahead of us! 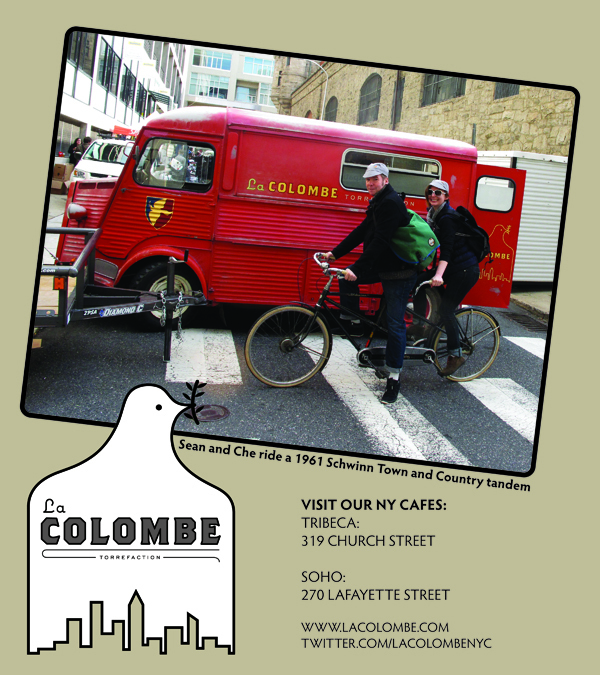 On Saturday, April 30th, we will be sponsoring the New Amsterdam Bike Show! It runs from 10-7 and is in the awesome art gallery space Center548. This marks the first time the Hvan will be in full force indoors. We’ll be handing out coffee and espresso drinks and having a raffle (tickets are free!) of some sweet cycling gear. 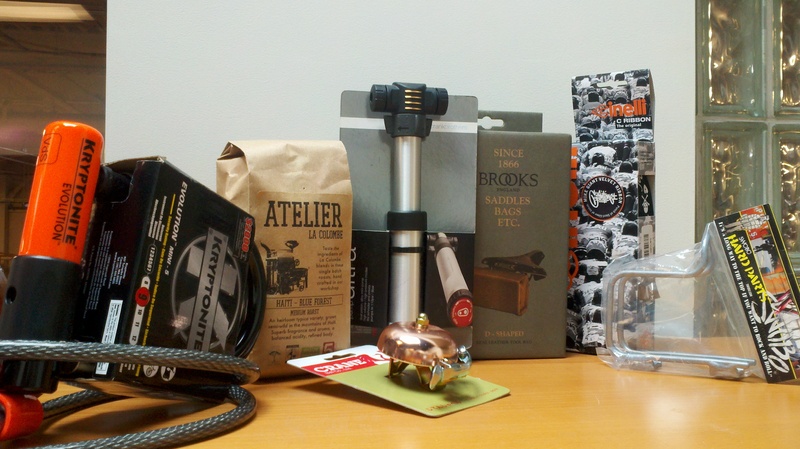 Includes:Kryptonite Evolution mini-5 lock and cable, Brooks D-shaped saddle bag (honey color), SWOBO Hard Parts Flask holder, Crane Copper bike bell, Crank Brothers power pump ultra tire pump, Cinelli C Ribbon--the Original (Mike Giant Velvet Ribbon), and La Colombe Atelier Haitian Blue Coffee. We'll be pulling names at 4:00 for the raffle items! On Sunday, May 1st, we’ll be at the old Fulton Fish Market area with the Hvan, serving free coffee and coffee drinks at New Amsterdam Market’s Floralia Celebration from 11-4. The weather is supposed to be beautiful…come on by!